All was quiet on the waterfront this morning, with the Les Voiles de St. Barth racing yachts sitting calmly at the dock or on their moorings in the outer harbor of Gustavia. It was a far cry from the hustle and bustle of the last few days here, but there was good reason for it, as this was a scheduled day off. 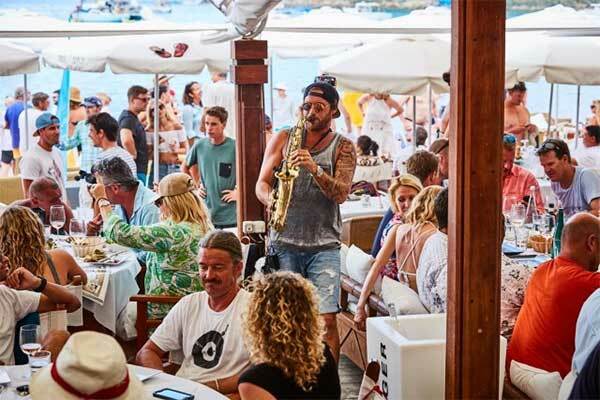 After two days of racing, sailors had time to recharge, repair (if needed) and reconnect with one another in a festive way over lunch and some good natured on-the-water contests at famous Nikki Beach Restaurant in St. Jean. Dancing on the tables to live saxophone music was saved for late afternoon, after teams had enjoyed meals served with fine French rosé and cheered on their mates in both an underwater treasure hunt for bottles of sponsor (Gold Partner) Veuve Clicquot's champagne and team jousting matches aboard giant stand-up paddle boards. With great aplomb, Team Phaedo3 knocked out Northern Child in the finals of the jousting, where instead of using swords, designated “knights” used soft boxing gloves at the end of long poles to topple as many of their opponents' paddlers into the water as possible. Theirs was a cheer-raising match, and so was the one finely handled by Prospector, which took second place after swamping Siren Tigress. All four of these teams also had contenders in the champagne search, and they, along with 11 lucky others, found the 15 bottles of bubbly that had been “hidden” in St. Jean Bay. 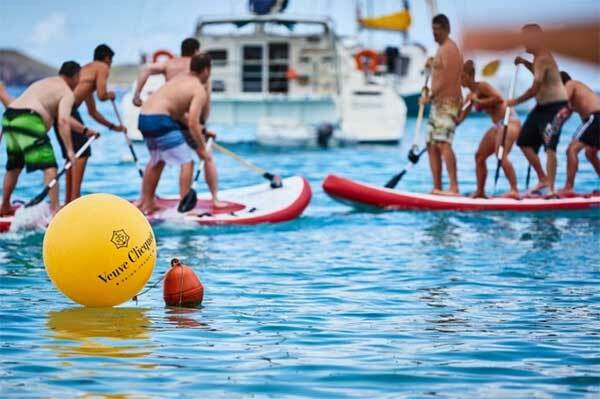 Needless to say, it was full-immersion for the teams at Nikki Beach as it has been at all of the social events offered here for sailors while not racing. No one goes hungry here for entertainment or food, as every night a band plays on the regatta stage at the Capitainerie during post-race gatherings, and local restaurants offer their specialties with nightly themes: a Brittany food stand (La Creperie Restaurant ), Thai food (Black Ginger Restaurant), Raw and Sushi bar (Fresh West Indies Caterer), and French and Creole Food (Côté Port Restaurant). Tuesday night's special “Famous Pirate Sails” event at Le Ti St Barth exposed sailors to the very French brand of cabaret show that has made the restaurant a must-do for visitors. (Le Ti's performers also played to crowds on Monday night at the regatta stage and are scheduled again there for Friday.) And last night's Crew Party at Shell Beach was not to be forgotten, as hundreds enjoyed local grilled food and champagne from the Veuve Clicquot Bar while watching a big-screen concert under the stars. Racing resumes Friday and concludes Saturday with an awards ceremony that is open to the public and a fireworks display for all of St. Barth to enjoy.